Considering a termination of employment, minimum notice terms are a factor of consideration. When An employee is entitled to either the notice period set out in their contract of employment, or the minimum entitlement set out in the Minimum Notice and Terms of Employment Acts 1973–2015; whichever is the longer. The employee must have been working for a period of 13 weeks in order to gain entitlement to the statutory minimum. Any provision for notice in the contract for less than the statutory minimum is invalid. The employee may accept payment in lieu of notice, if provided for in the contract of employment or otherwise agreed with the employee (Minimum Notice and Terms of Employment Act 1973, s.7). 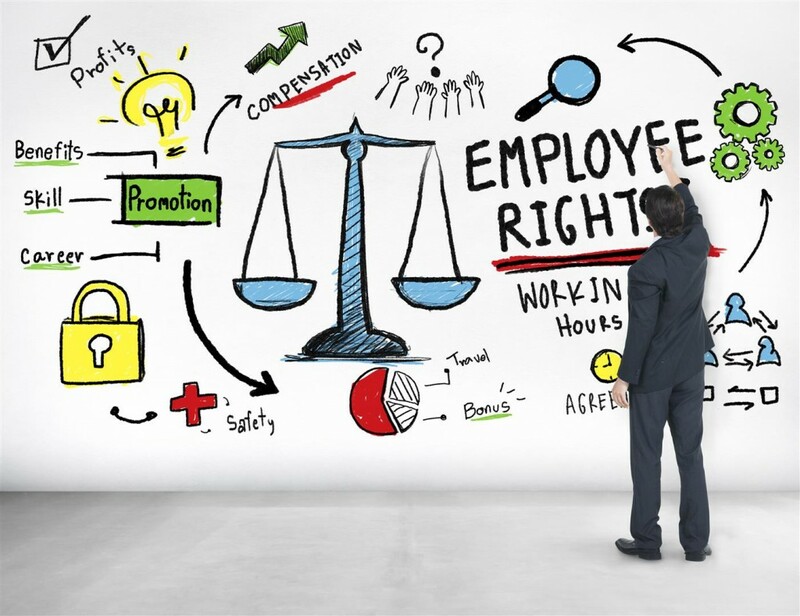 Further, where an employer and an employee agree, the employee can waive the right to notice. It is very important for employees to note that, if provided for in the contract of employment or disciplinary policy, employees may be summarily dismissed from employment on grounds of gross misconduct, meaning that no notice period will be required. The recent English case of Bartholomews Agri Food Limited v Michael Andrew Thornton should be noted, as it has persuasive authority in this jurisdiction. In this case, an employer sought an interim injunction to enforce the terms of a restrictive covenant contained in the employee’s contract of employment. The court ultimately refused the employer’s application for injunctive relief. It was held that, despite the fact that it was limited in duration and geographical scope, the clause was in restraint of trade and unenforceable. In particular, the court was critical of the fact that the restriction was imposed when the employee was a trainee; it was wholly inappropriate to impose such a restriction on a junior employee. The restriction regarding all customers irrespective of whether the employee had knowledge of or involvement with customers was also criticised. The employer’s legitimate business interests could have been protected by simply requiring that the employee could not deal with or solicit customers who he had dealt with before the termination of his employment. The court further held that the provision in the clause whereby the employer would continue to pay the employee for the duration of the restriction, as long as he complied with the terms of the provision, was contrary to public policy as it effectively sought to purchase a restraint of trade. Employers should take note of the above points when including restraint of trade clauses in employment contracts. Employees can accrue annual leave during sick leave with effect from 1 August 2015, when the Workplace Relations Act 2015 came into effect. The leave year for the purposes of the Act is 1 April to 31 March. Pay in lieu of accrued but untaken annual leave can only be paid for the last year of employment. On termination of employment, payment in lieu of untaken accrued annual leave will apply to leave which was untaken as a result of illness, in circumstances where the employee leaves the employment within a period of 15 months following the end of the leave year during which the statutory leave entitlement accrued. Under the Act, the employee will still be entitled to pay in lieu of any public holiday he missed, provided he worked 40 hours during the 5 weeks immediately prior to the public holiday. Any photograph, video or audio recording of a person can constitute “personal data” and is therefore, subject to the provisions of the Data Protection Acts 1998 and 2003. Data privacy is an important concern from when employee first applies for a job until a reasonable period after termination. Personal data should be retained for no longer than is necessary for the purpose that it has been retained. A company may therefore be obliged under the Data Protection Acts (DPA) to destroy any images held by the company after an individual’s employment is terminated. It is essential that such personal data is securely deleted. Employers often mistakenly assume that data refers to the personnel file only. However, data such as health information, trade union membership, and details of criminal convictions can be processed if it is necessary “for the purpose of exercising or performing any right or obligation which is conferred or imposed by law on the data controller in connection with employment”. For this reason, employers should be careful to have a clear data retention policy. The General Data Protection Regulation was approved by the EU last month. It means that citizens will be able to decide for themselves which personal information they want to share. It also creates clarity for both employers and employees by establishing a single law across the EU. However, the Regulations impose onerous measures and heavy fines: It is therefore essential that employers are prepared for when they become directly applicable in all member states two years from now, in 2018. The current data protection legislation does not provide a right to compensation; however the new Regulations provide that any person who suffers damage due to infringement of the Regulations has the right to receive compensation from the controller or processor for the damage. This significantly strengthens employees’ rights in relation to their personal data. Section 25 of the Organisation of Working Time Act 1997 (the “Act”) requires employers to keep certain HR/employee records for a period of three years from the date of creation. This includes the retention of information such as names and addresses, PPS numbers, job descriptions, contracts of employment, days/hours worked, annual leave/public holidays taken etc. Under statute records of parental leave and carer’s leave must be kept for eight years. Records relating to employment permit holders must be retained for five years. However, employee information should be retained for the duration of the contract of employment, and for seven years after an employee has left employment. This is so that an employer can defend any litigation arising in the future; a breach of contract claim can arise up to six years after a breach. A period of seven years after termination of employment is advised as plenary summons can be issued 12 months prior to being served on a defendant. In particular, information relating to work-related illnesses should be retained for seven years after termination of employment due to the risk of a personal injury, breach of contract or health and safety claim. Details of share schemes or any other scheme based on a deed must be retained for at least 12 years. Information such as pension arrangements may be required to be retained on an indefinite basis. Advice should be sought from a tax accountant in relation to various tax records which must be retained for certain periods of time. NOTE: This article is for information purposes only; specific legal advice should be taken before relying on information in this article. If you are an employer seeking advice regarding termination of employment, or if you are an employee and need assistance in relation to your rights upon termination we would be delighted to assist you; contact us by e-mail via info@halpinsolicitors.ie, or call the office on 021-425 1843.